Darryl Cotton (born 4 September 1949 in Adelaide, Australia) is an Australian pop singer, television presenter and actor. Cotton is best known as a founding member of Australian rock group Zoot in 1968, along with Beeb Birtles, Rick Brewer and, later, Rick Springfield. He was a member of the short-lived Oz band “Frieze” which he founded with Beeb Birtles. 1n 1973 his friend Steve Kipner got him work in American firstly in the group “Friends” and then by 1975, “Cotton, Lloyd and Christian”. Darryl has other songs on this blog. Please use the search facility to locate them. Michael Lloyd was in an American pop group called “West Coast Pop Art Experimental Band”, for Michael Lloyd it was only the beginning of an extraordinarily successful musical career which has, to date, netted him over one hundred gold and platinum records. After becoming the Vice President of A & R at MGM records, aged 20, in the fall of 1969, Michael achieved his first major hit producing Lou Rawls' single 'A Natural Man', winning himself a Grammy in the process. After forming his own band Friends, along with two Australians Darryl Cotton (ex-Zoot and Oz rock band) and Steve Kipner (ex-Tin Tin), Michael recorded an LP in 1973 only to see it pulled by MGM when he and Mike Curb left the label. As 'Friends', they produced a few singles including 'Gonna Have A Good Time' and 'Would You Laugh?' The album was considered to be soft pop rock, and had a lot going on for it as far as production, vocals, and instruments. 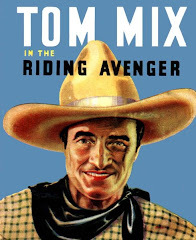 Unperturbed he went on to record two further albums under the guise of Cotton, Lloyd and Christian. However, he soon discovered that his strength lay in producing and composing for others, most notably those toothsome Mormon siblings the Osmonds (including their 'experimental' 'Crazy Horses' period and Donny's solo career), as well as other teen heart-throbs like Shaun Cassidy and Leif Garrett. His greatest achievement in commercial terms came with the 1987 film 'Dirty Dancing', for which he acted as musical supervisor as well as producing and co-writing much of the music. Chris Christian (born on February 7, 1955 Texas) is a songwriter, record producer, and a record label executive. 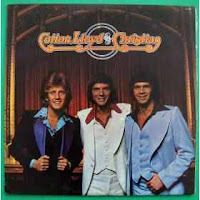 He recorded as a member of the trio of Cotton, Lloyd and Christian which had a couple of hits on 20th Century Records. Christian also played guitar in the Chet Atkins band. 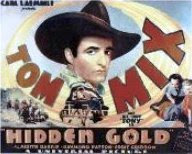 Here for download is an extended Tom Mix 12" of "I Go To Pieces". I used the CD master for this remix. What a fabulous find your site is! Thank you so much. 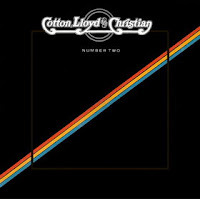 I simply loved the single, "I go to Pieces" by Cotton, Lloyd & Christian. In my opinion, it is one of those rare examples of the cover version of a song being much better than the Del Shannon original (and that was good). I bought this single in 1975 when I was 16 years of age. Thank you for a lovely dose of nostalgia. Jenny.